Our flights from Tromso to Stockholm came with a little bit of excitement. 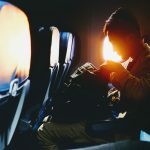 We had to change planes in Oslo, and as we were lined up to board the second flight, there was an announcement that the flight was oversold and they were looking for a volunteer to take the next flight in an hour. They would compensate with a €75 cash payment and a voucher for food in the airport during the wait. We waited a few minutes and no one else volunteered, so we thought “why not”? Afterall, we were not in a rush, and it was only an extra hour. As we were doing all the paperwork to receive the food vouchers the lovely lady from SAS (the airline) was so nice she decided to upgrade us on the next flight. This meant we got seats at the front and a meal on the flight – that was dinner sorted! Even better, we got lounge access before the flight while we waited. We only had about 40 minutes left before we would have to board again, so we very quickly went and spent our airport vouchers on snacks for the next few days (chocolate, chocolate and more chocolate!) then made ourselves comfortable in the lounge, quickly eating some food and drinking some wine. 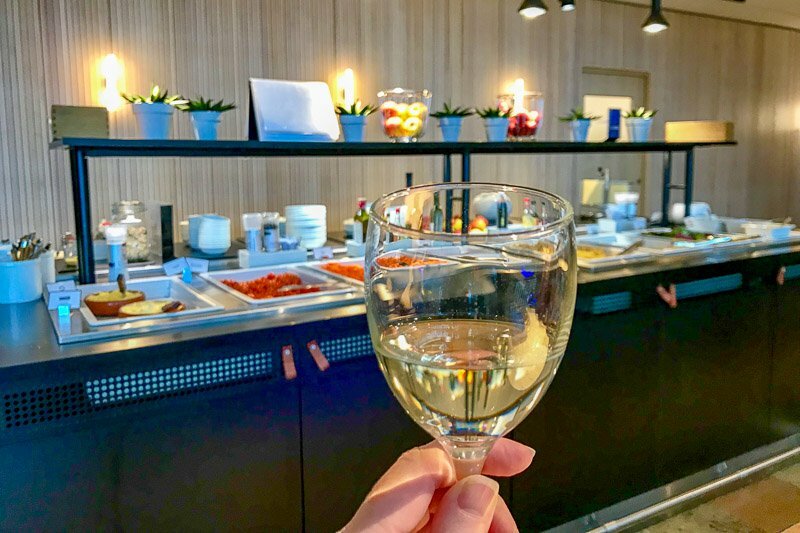 Our flight was delayed by about fifteen minutes (giving us more time to eat and drink), but overall, with €150 ($237AUD/$179USD) compensation, 200NOK ($33AUD/$25USD) airport vouchers, food and drinks in the lounge and on the plane, it wasn’t a bad hours’ work! We arrived in Stockholm and navigated our way through the public transport system. We were catching the train so made our way to the platform, only to find there was nowhere to buy tickets for the train we wanted to catch. We had to walk back into the airport to get them! We had actually stopped at the ticket machine on our way to the station, but there was a very confused girl trying to buy a ticket. She didn’t speak English so we couldn’t help her. Rather than wait, we thought surely there were ticket machines further on! That will teach us to be more patient! Another thing to note if you are visiting Sweden – they are very close to being a cashless country. We noticed in quite a few places that cash is no longer accepted, all transactions must take place with either card or phone. 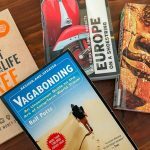 For the traveller this is great because you can get away with not changing any currency, but if you are not aware of this and do get some cash and plan to use it everywhere, there may be some issues. Our first port of call the next morning was the Apple Store! I know, not normally on the tourist trail, but my phone had been playing up for a while and this was the first Apple Store we had seen in months! My warranty was nearly up, and I couldn’t wait any longer. As it worked out, a quick play around with some settings, resetting some network bits (yes, that’s the technical term! ), and the guys had is running beautifully again in five minutes! Such a relief since this was the only phone between us and my camera had died last week too. I wasn’t sure how we were going to cope if I had to leave it there for a couple of days. Next we were off to the ABBA Museum. ABBA have always been popular in Australia. I grew up listening to my Mum’s ABBA records, and even now it’s not unusual to hear their music on the radio. My sister-in-law is also a huge fan, travelling all the way to Stockholm for the opening of the museum a few years ago. After we entered and made our way through the display of guitars, the first room we came to was a small, curved theatre, showing a short five minute film with clips of songs, concerts, photos etc. Just standing there watching it sent chills down my spine. I was a bit naughty, because I used the on-site wifi to Facetime my sister-in-law while I was there to bring back memories of her visit. I was only bending the rules a little – the sign said no photos or video, and technically I was streaming not recording! The rest of the museum was fantastic. Quite a few interactive exhibits are available. 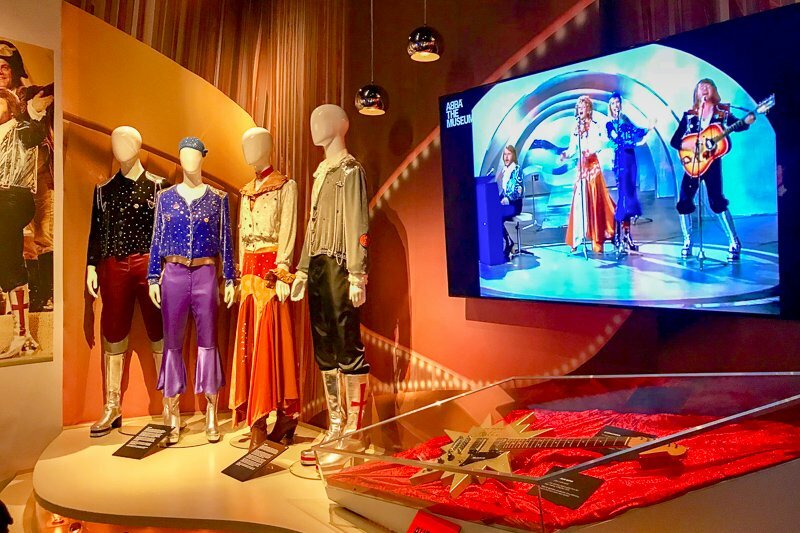 It’s possible to record an ABBA song, dance on stage with a holographic version of the band, and virtually “try on” some costumes. There is a special phone that sits in the museum and the only people that have the phone number are the members of the band. The sign tells visitors to answer it if it rings, because it’s ABBA calling! 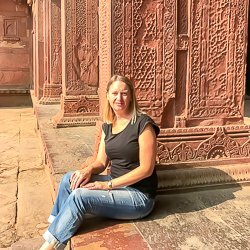 I don’t know how often it rings – it didn’t while we were there – but Google tells me that it has rung at least once in the past, so I guess you never know! 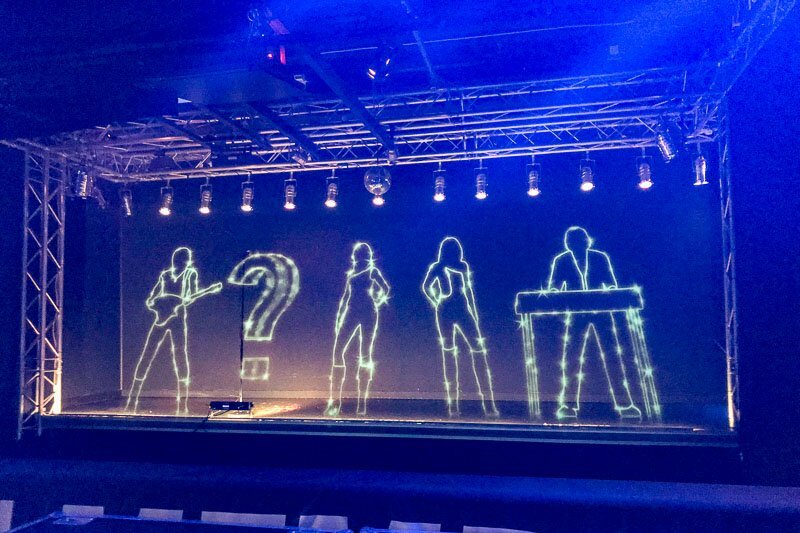 The hologram stage between acts. The iconic custumes from the Eurovision win that launched Abba on the way to stardom. I stood here and watched the performance three times. We spent about three hours in the museum. It may not be big in size, but it really kept me interested and I think I read, looked at and touched everything possible. 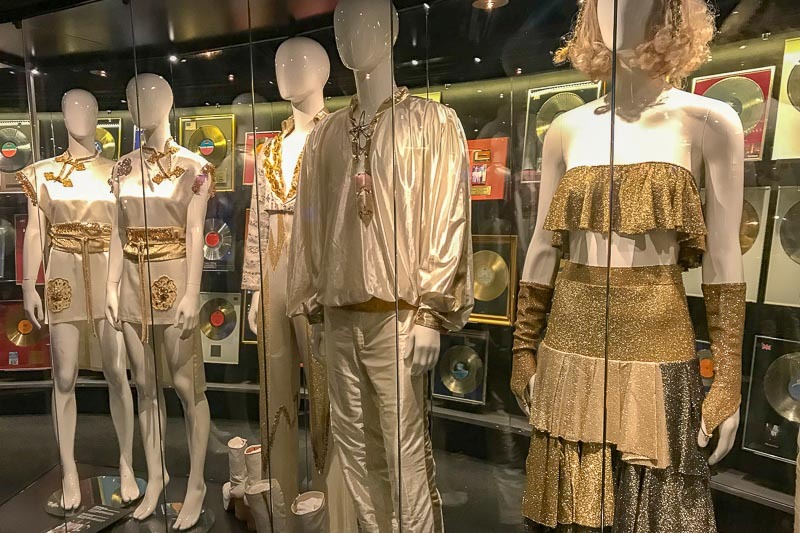 The last section of the museum displays many of the costumes that ABBA are famous for, as well as a whole pile of awards and gold records they have received. A fitting way to end the visit. And of course the costumes! The rest of the afternoon was spent fixing an problem we had found with our next flight. We were supposed to be leaving Stockholm after three nights, but we had just discovered our flight had been booked on the wrong day. This meant we had four nights in Stockholm, since it was cheaper to forego a night of prepaid accomodation rather than buy new flights. Unfortunately where we were staying could not accommodate us for another night, so we had to search for another place. Even though it was the off season, finding last minute accommodation in Stockholm that was not crazy expensive proved to be a challenge. Lucky we had received that flight credit, we need it to fix this! Whoops. Now that we were here in Stockholm for an extra day, we decided to purchase the Stockholm Pass. It was a close call this time as to whether the pass would be worth it or not. 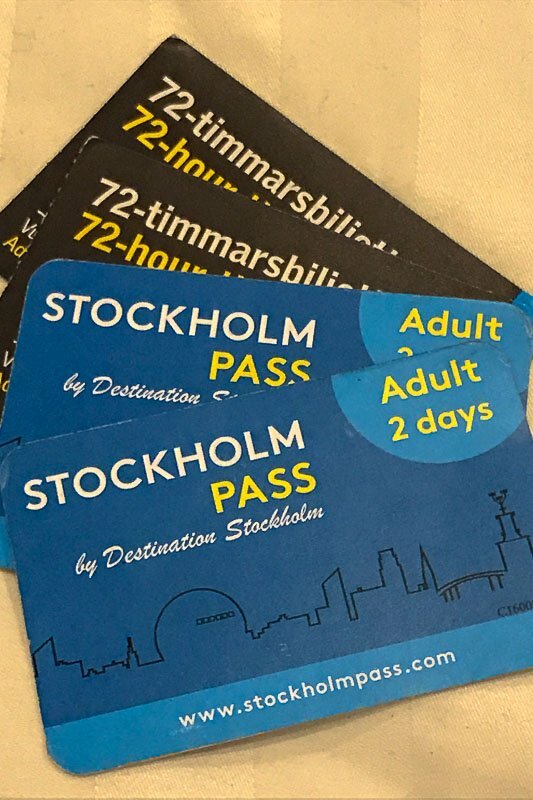 We had already bought a 72 hour transport pass, so only needed the two day Stockholm Pass. 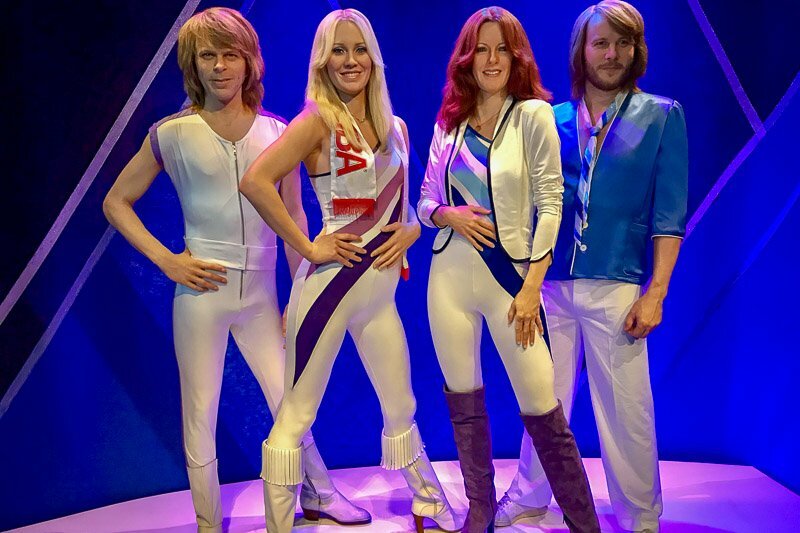 If the ABBA Museum had been included it would have been a no-brainer, or even if it had been warmer. We had to consider shorter hours at some of the attractions due to the season and weather, with some places not being open at all. I had bought the pass on line and we had to pick it up from the Stockholm Tourism Centre. 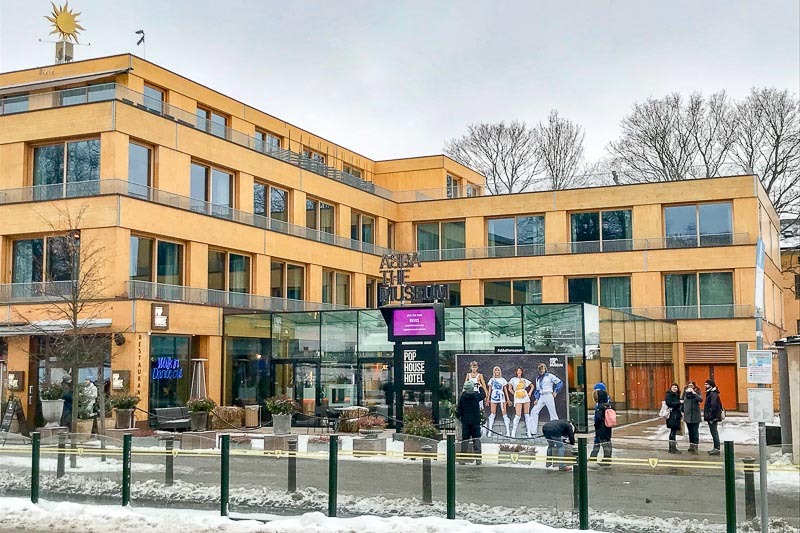 Even though the Tourism Centre was open, the person who organises the Stockholm Pass worked for a different company who had slightly different hours. My email did say this, but I didn’t look at it correctly and we ended up standing around waiting for almost an hour. Not the best start to a jam packed day! We walked into the Gamla Stan area, our ultimate goal was the Nobel Museum. It took a little longer than planned because I was busy ohhing and ahhing over the frozen landscape and the cute little cobbled streets. I may not enjoy the cold much, but the snow and ice make everything look so pretty! 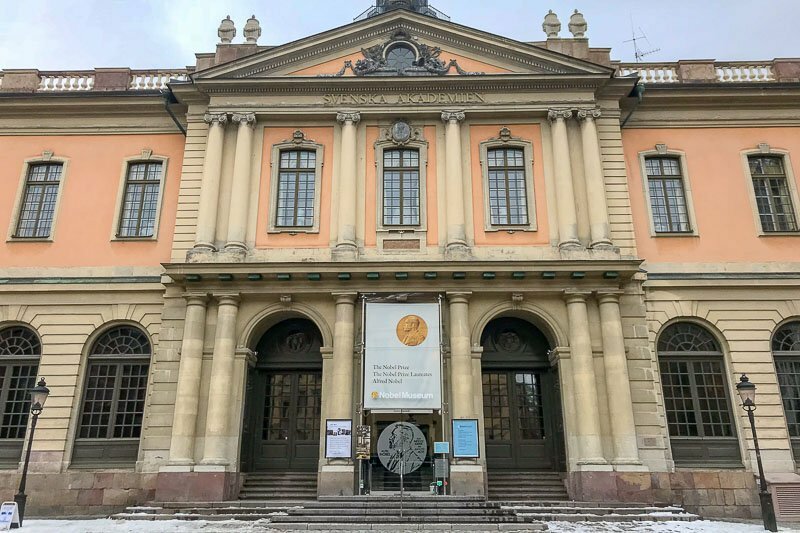 The Nobel Museum has information on all of the Nobel Prize winners since it’s inception. 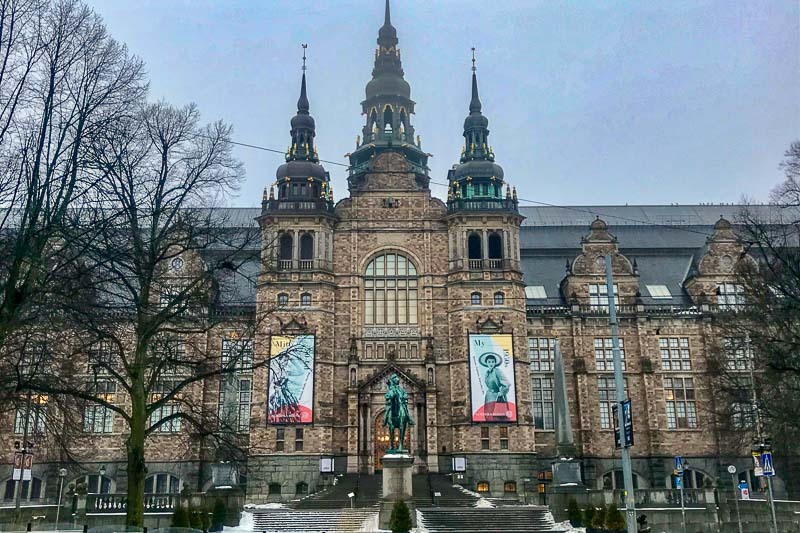 It also includes a small museum area dedicated to Alfred Nobel, and another area which showcases items donated by past winners. Mostof the information is provided in digital forms, with touchscreens all around. It really is possible to spend hours here reading up on all the winners if you would like to do so. My favourite part though was a conveyor that hung from the ceiling which contains a photo and short bio of every Nobel Prize winner. The photos move around above the visitors heads until they reach one end of the room and they separate and can be clearly read. 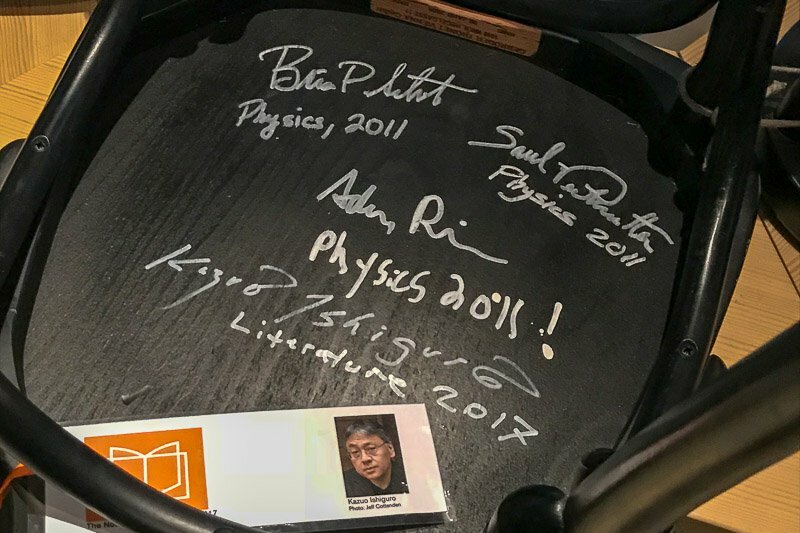 When Nobel winners visit, they sign the bottom of a chair! This started decades ago, and if you eat in the cafe, check your chair – it could have a famous signature underneath. 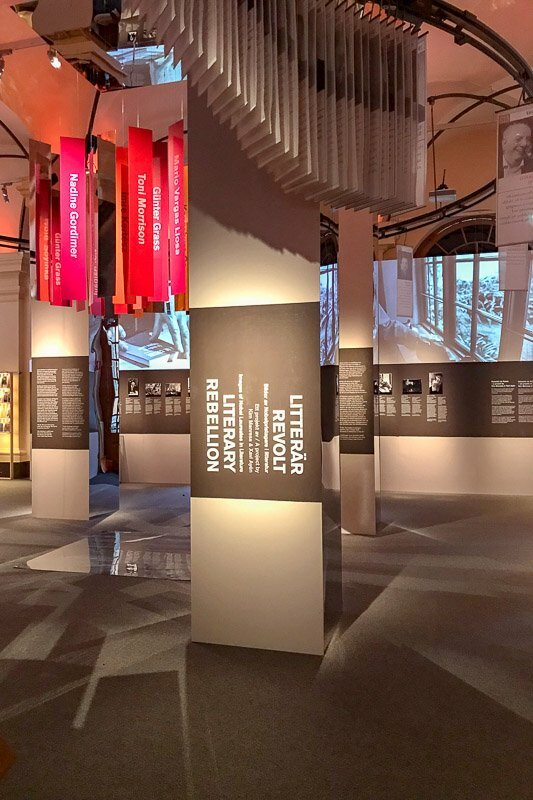 While we were at the Nobel Museum there was a temporary exhibition called Literary Rebellion, a photographic display showing previous Nobel winners. We were also able to join in on a free tour. It took about half an hour and gave us a general overview of the museum, Alfred Nobel and the displays. It was a great starting point to decide what to look at next. I’m not sure how often these are run during the day, but they seemed to be every hour while we were there. 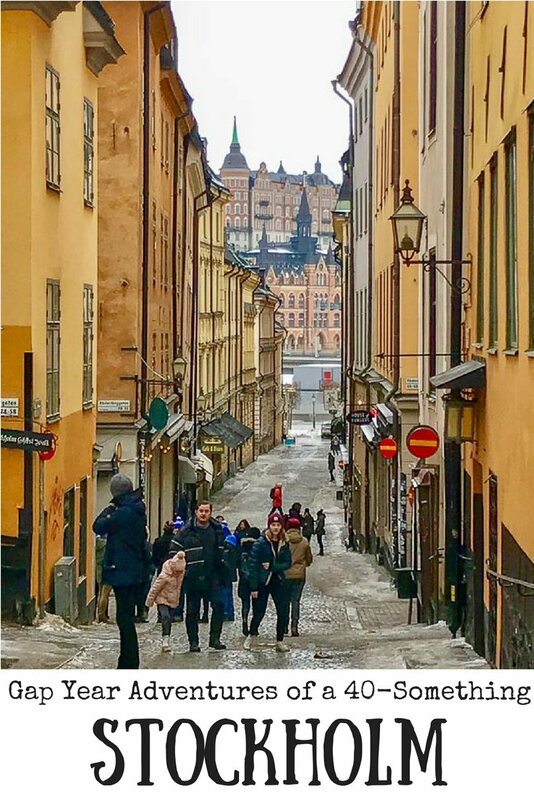 As we walked around more of Gamla Stan after the Nobel Museum, we came across Marten Trotzigs grand, the narrowest street in Stockholm. At it’s narrowest it’s only 90cm wide. Officially it’s an alley, and with the graffitied walls and dingy feeling about it, this is a suitable description. Our plan for what was left of the afternoon was a boat ride. We made our way back to where the boats docked and secured our ticket (which was included in the Stockholm Pass) before looking for somewhere nearby to head inside and warm up with a coffee. It seemed like all the cafes were back across the water in Gamla Stan, and we ended up visiting the posh Grand Hotel. I felt a little out of place in my backpacker attire, but it was beautiful and warm with delicious coffee. I hate to think how much we paid for them though. 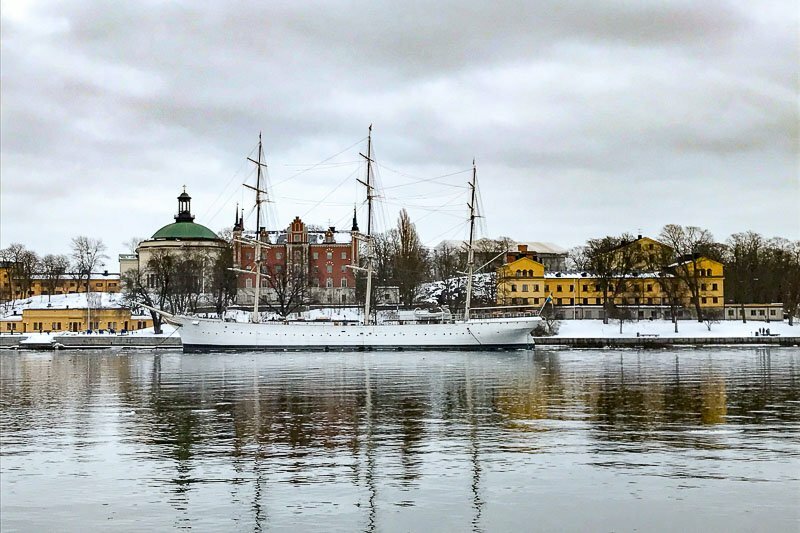 The Stockholm Winter Tour took us all around the islands of Fjäderholmarna, telling us about the history of Stockholm while pointing out key landmarks. The boat was lovely and warm inside, and warm soup and mulled wine was sold to those who wanted it. Of course to take photos I had to leave the warmth and head out on deck. 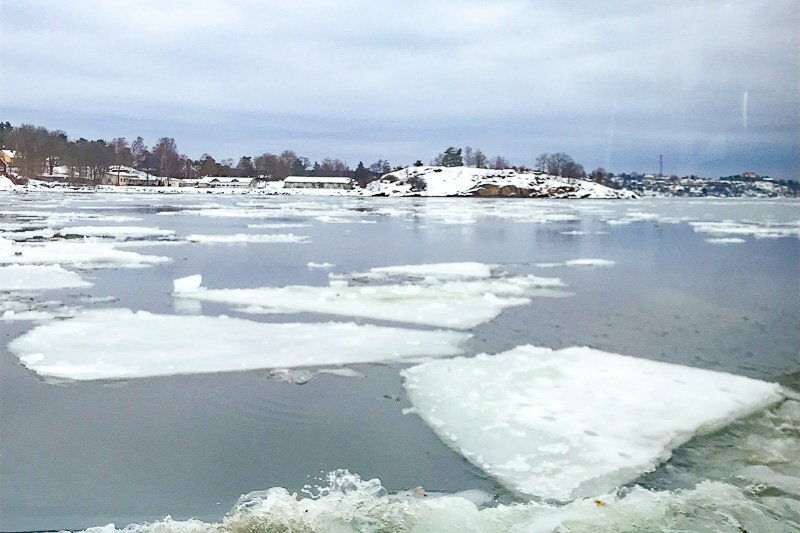 It was a grey old day, and I could only stand to be outside with the wind whipping over me as we moved along through the icy water for a few minutes at a time. Back on land we made our way towards the Royal Palace. We knew we were short on time, and by the time we walked all the way around the palace to the opposite side where the entrance was, got our tickets and got inside, we only had about 45 minutes to have a look around before it closed. 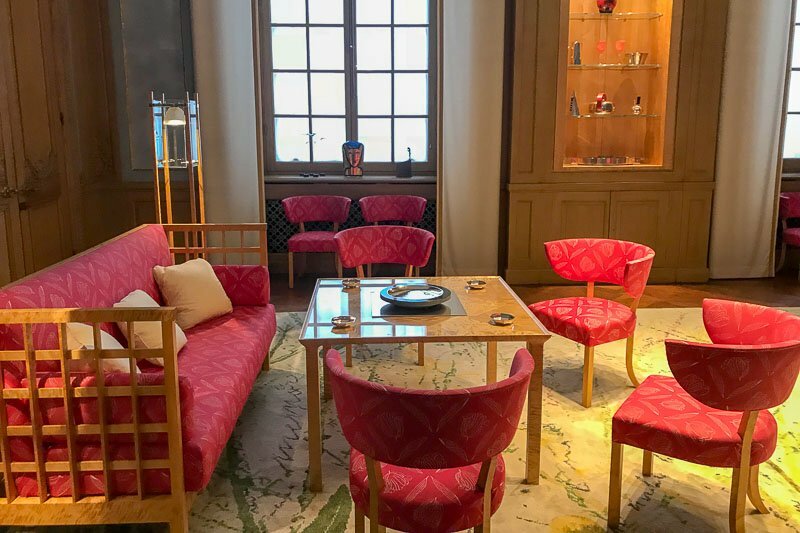 In the past we have been to some palaces and museums that this would have been ample time, but I would have liked more time here. We were able to see everything, but some rooms we just walked through quickly without stopping to read the information provided or to look more closely at some of the displays. 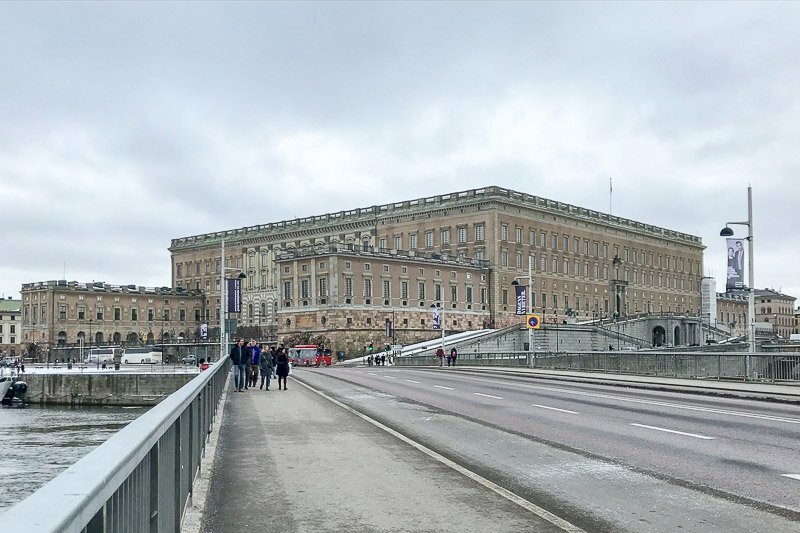 The Palace is still used for official functions, and foreign heads of state often stay in part of it when they visit, so we were lucky that it was all available for us to see while we were there. We were being ushered out as the doors were closed as I tried to squeeze in as much as possible. 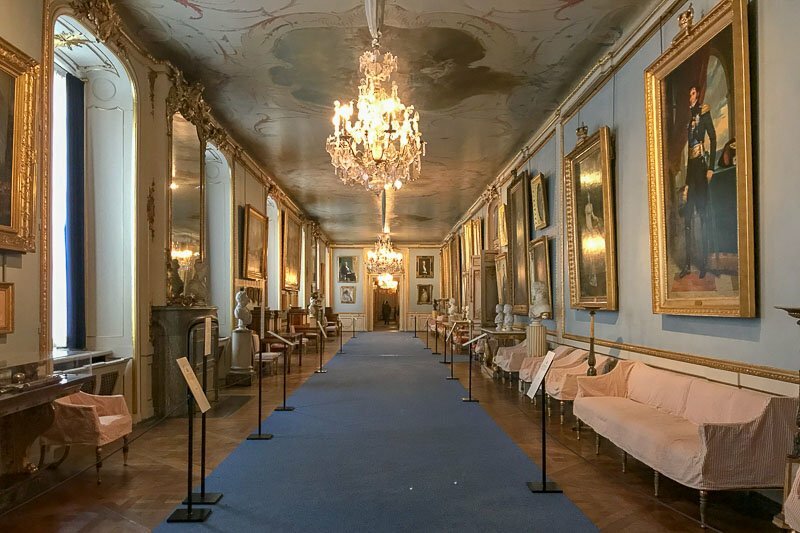 There is a room in the palace decorated in modern Swedish style. Not quite from Ikea, but there are definitely similarities. We ducked into Storkyrkan, the Stockholm Cathedral, next to find a concert taking place. This is Stockholm’s oldest church, dating from the 13th Century and has some really beautiful artefacts, perhaps the most well known being a sculpture of St George and the Dragon from 1489. 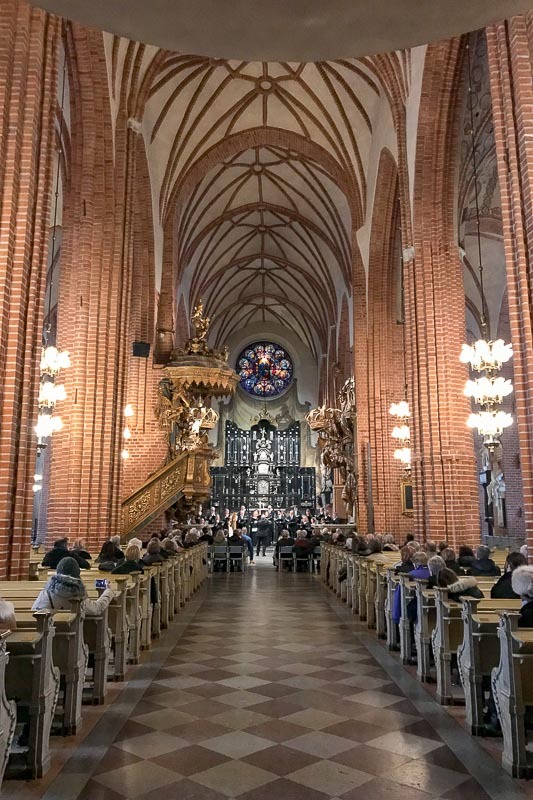 Due to the concert we could only have a quick look around, but in general it is possible to do tours to hear all about the church, and to even climb to the top of the dome. It was still relatively early, but we were hungry, so even though it is not the European way to eat at this time, we made our way to the restaurant we wanted to eat at and hoped it was open. 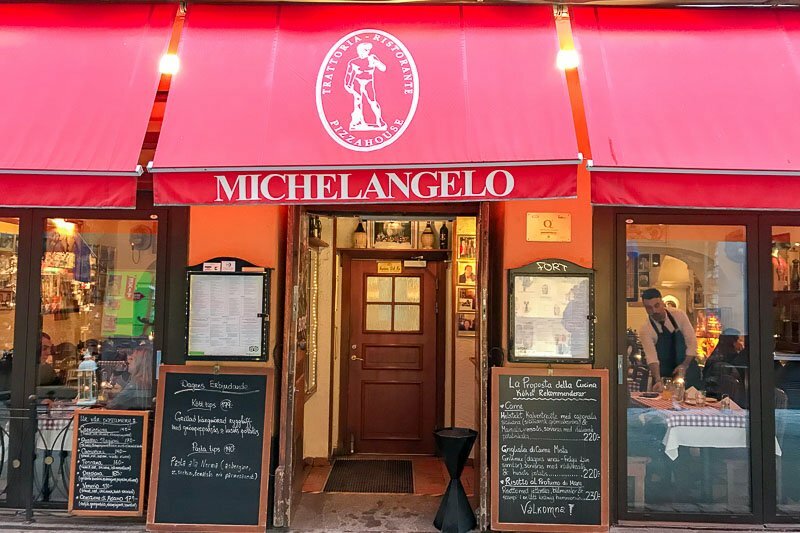 My sister-in-law had recommended Michelangelo, and I have to agree with her recommendation. We had a fantastic meal. The prices were reasonable, considering we are trying to stick to a budget in an expensive part of the world. 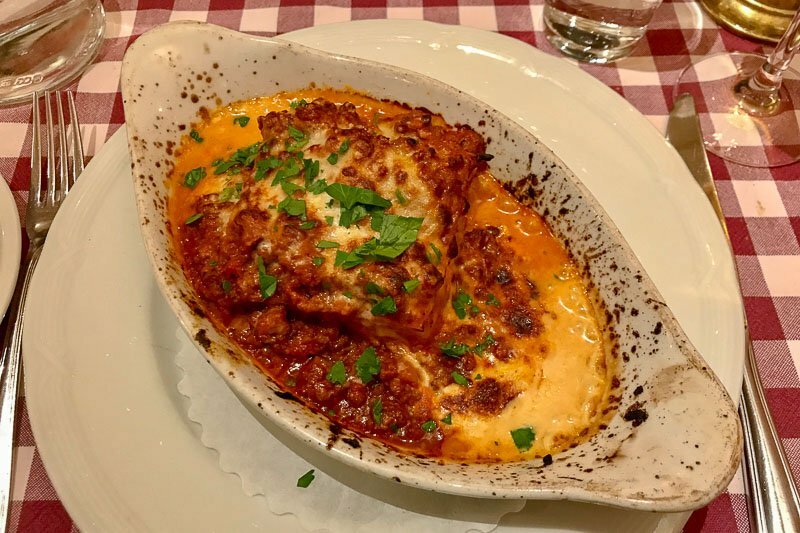 If you are in Stockholm, go here and order the lasagne – you will not be disappointed. Our schedule for the following day was also ambitious. Firstly we had to change hotels, and we very pleased to find our room was available at 9am. As soon as we were checked in we jumped straight back on the train and made our way to Skyview. This is a cabin, kind of like ones that you would find on any of the big new wheels such as the London Eye, and it goes up the outside of the Ericsson Dome, a huge, hemispherical arena where all the big musical acts perform. 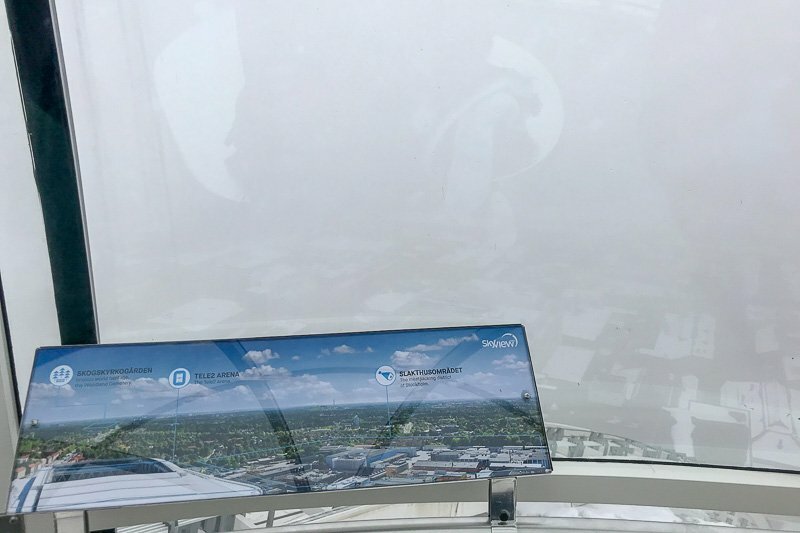 On a clear day, there are amazing views over Stockholm, but unfortunately for us, the weather was not playing along with my tight schedule. As we stood outside the doors waiting for them to open, it began to snow. 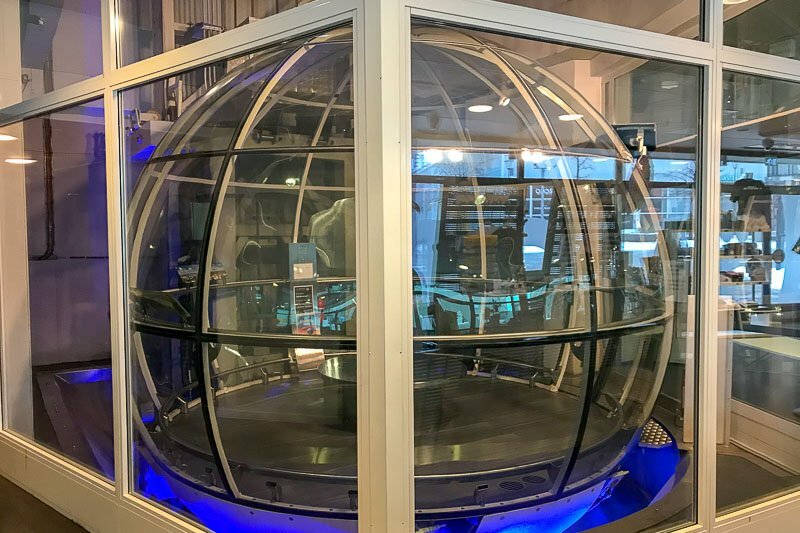 The Ericsson dome, with the rails up the side that the glass cabin travel up. 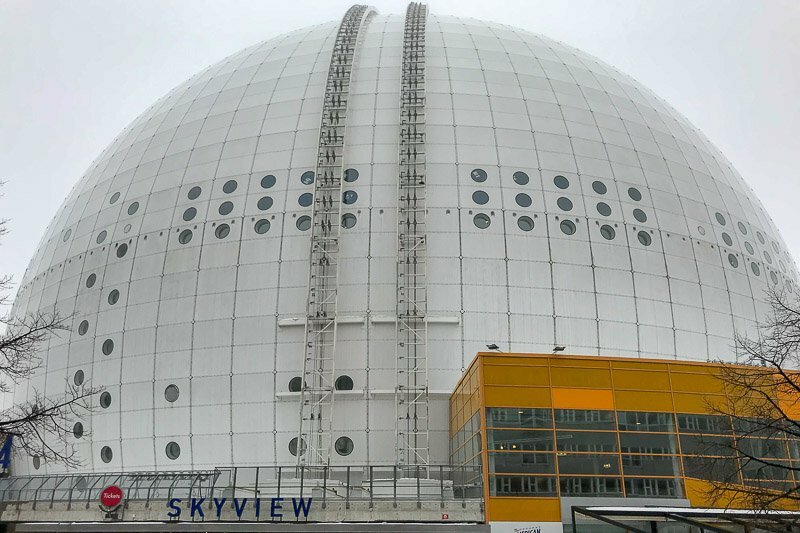 Skyview is a pretty cool concept, and I’m sure the views would be fantastic, but without the Stockholm Pass, this would have been an expensive twenty minutes. 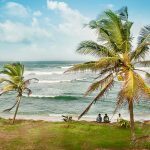 It is also out of the city centre, and if you are pushed for time, I would not add this attraction to your list. What we should have seen – and what we actually saw. Terrible timing! We were soon back on the train on our way to the Vasa Museum. 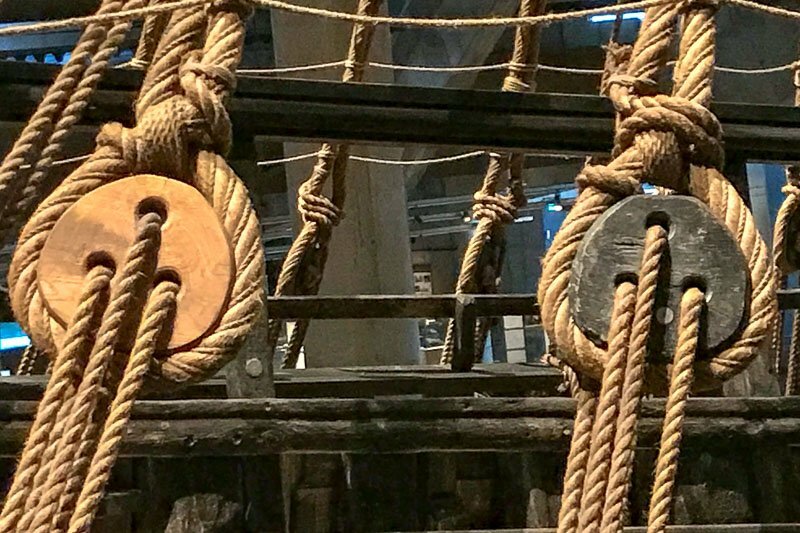 The museum is all about a 17th Century ship called Vasa, that sank in the waters of Stockholm before it could even leave the harbour. When it was raised, it was found to be almost complete, and is now 97% original. It’s mindblowing to see this perfect ship exactly as it would have been almost 400 years ago. 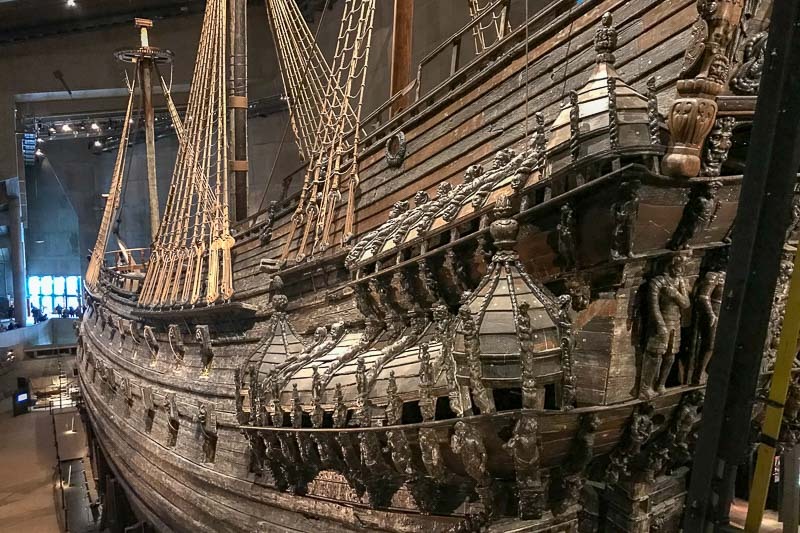 The Vasa Museum was on my “must see” list before I got to Stockholm. But I have to say, it was so much more than what I was expecting. I was thinking it would just be the boat to look at and a bit of the history, so in my mind 1-2 hours here would be plenty. I was so wrong. We spent over three hours looking around at the many displays and watching videos. There are free tours on offer during the day too, so we also took advance of one of them to learn even more about what we are seeing. We could have spent even longer, but knew we had to get moving to see some of the other things on our list. 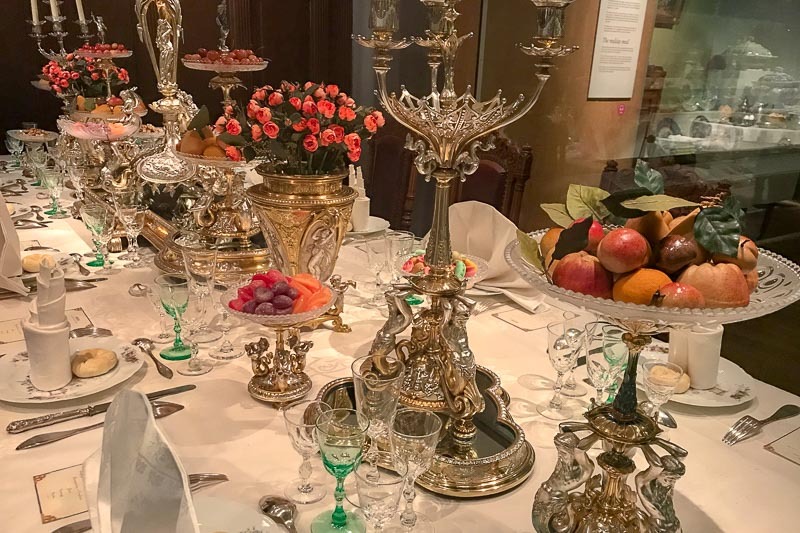 We did have a quick snack in the restaurant before moving on though, and while we didn’t have a whole meal, I have to say some of the food that others were eating looked so much better than what would normally be found in a museum restaurant. Not far away was Vikingaliv, not surprisingly, a viking museum. 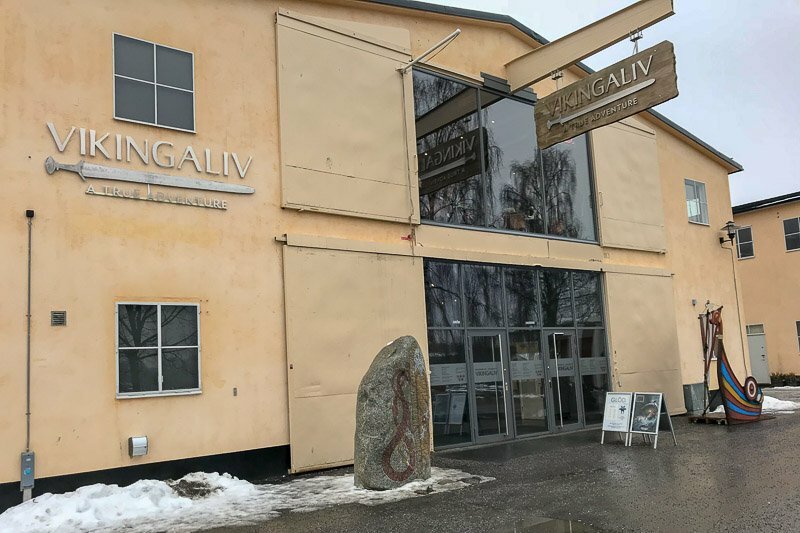 Again, this was a really well done museum with interactive displays and even a viking ride. It was kind of like a theme park ride, think “It’s a Small World” at Disneyland, or a ghost train without the ghosts but a story instead. 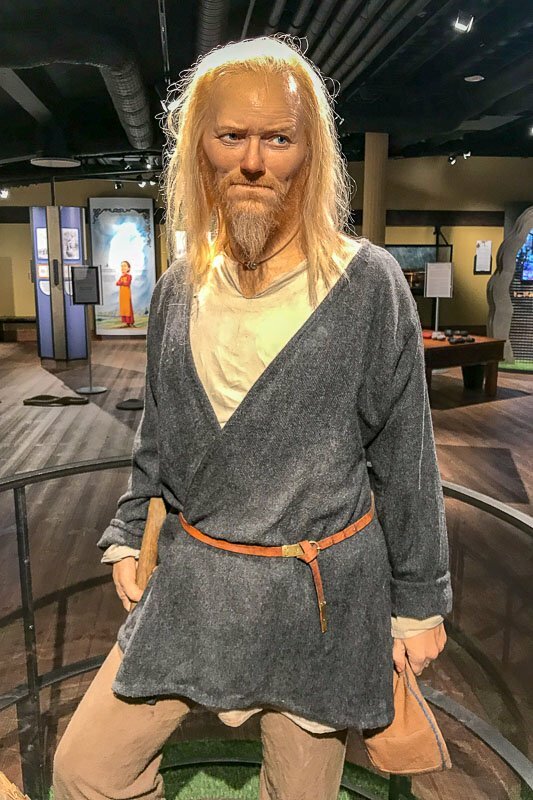 While you won’t find many museums with theme park rides, the thing I will remember most about this museum is the lifesized model that has been constructed based on a known viking skeleton. It looked so real standing in the middle of the museum. This vking model was so realistic, and surprisngly small. They were not the big people we imagine. 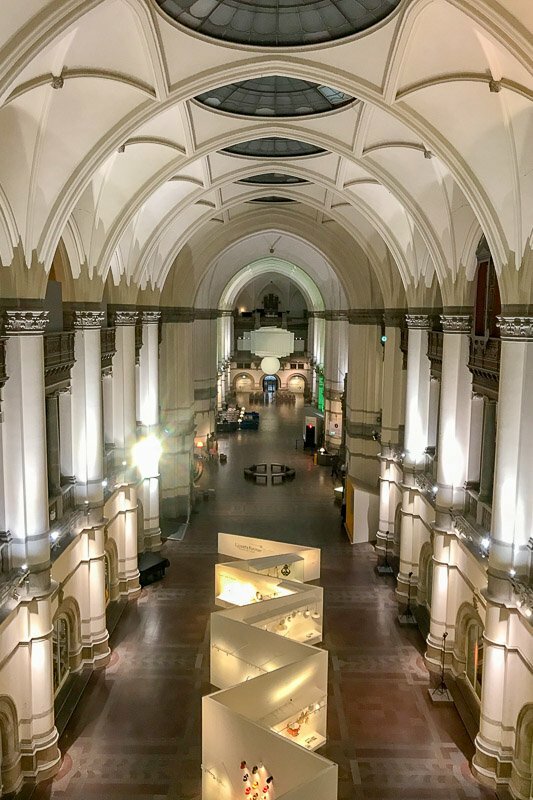 We had an hour left to squeeze in a quick visit to the nearby Nordic Museum. I had spotted the building this museum is in on our way to the ABBA museum and it looks like a big castle so I just had to see inside. 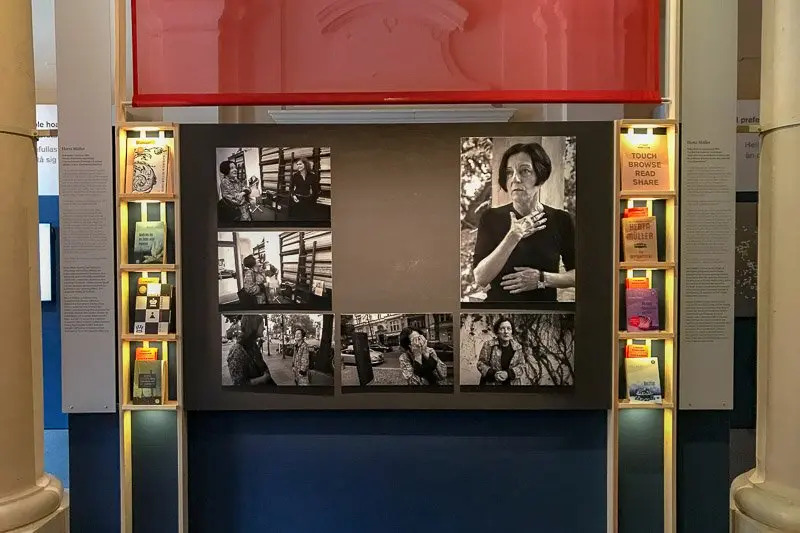 It’s an ethnographical museum, all about the cultural history of Sweden, and like all the other museums we had visited, had some great displays. An audioguide was provided for even more information of what we were seeing. The audioguide was set up to go through the main points or items in each area, but then if there was more time or the visitor was pasrticularly interested in a section there was even more to listen to. We barely got through half of the main bits before we were again ushered out at closing time. 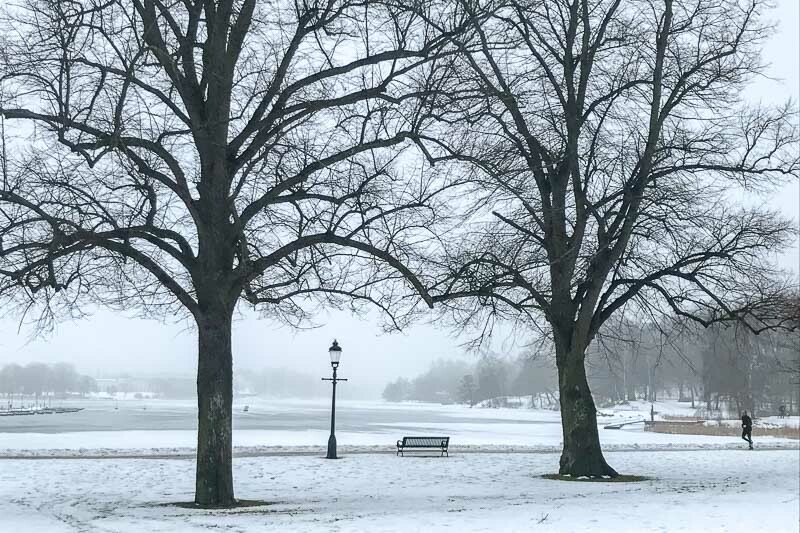 As we left we noticed a park across the road, all covered in snow, leading down to a lake. I walked across to take some photos and we ended up playing in the snow for a few minutes – until my fingers could not handle the cold any longer. In the morning we made our way to the central train station to catch the express train back to the airport. As we walked onto the platform a big flashing sign told us that the trains weren’t running on this track at the moment. We seem to have so many issues with trains! We had left ourselves plenty of time, so there was no real panic, but I was cringing at the thought of paying for a taxi to the airport. It would take about an hour to drive there too, rather than 25 minutes on the train. My fears about the cost though were not justified. It was actually cheaper to get a taxi than two tickets on the express train – but only just! There’s always some “excitement” on travel days! 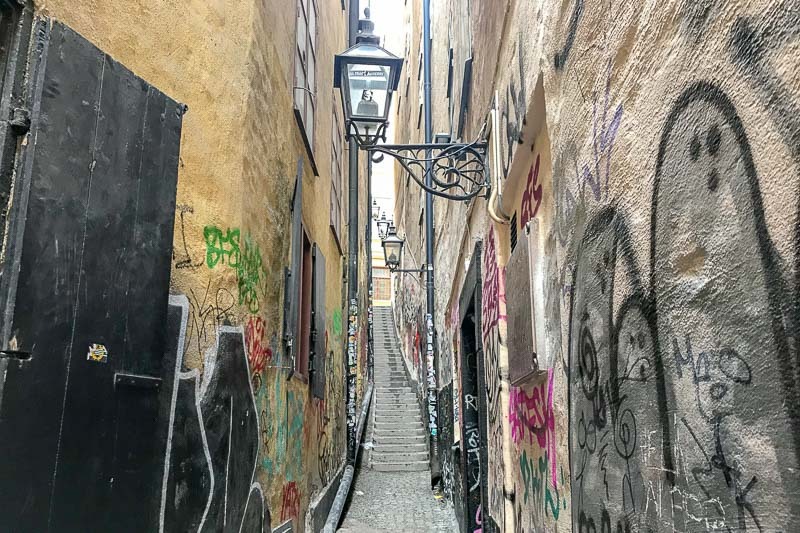 There was so much left to see in Stockholm, but our time was up. We will definitely be back, but next time in the summer so that more places are open and for longer hours each day. We still had a lot of fun, and I am glad to have seen the city covered in snow and ice. It might be because I don’t have to live it in and it is a novelty, but I find snow just beautiful. Stockholm is of course not a budget location. 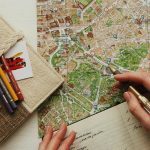 Of course there are ways to keep the costs down, so I suggest spending time researching before your arrival. 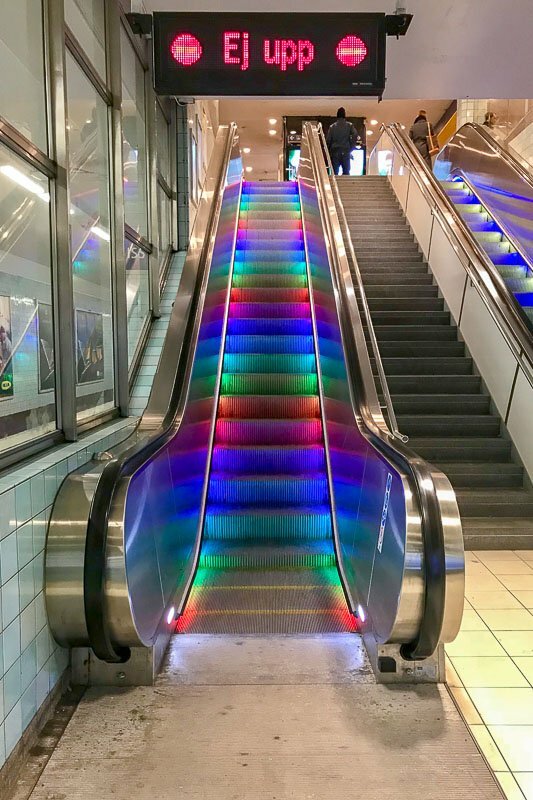 The public transport system in Stockholm is fantastic. It was really easy to get around the city. 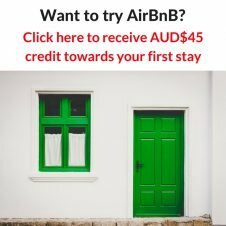 We bought a 72 hour transport pass which made it more economical, and meant we used it a lot more on short trips where we otherwise may have walked. Wifi was everywhere and speeds were good. Every museum, attraction or restaurant we went to had free wifi, as did the express train and the boat tour. We still have not picked up the SIM card we planned to get in Europe and have not yet felt like we need it.